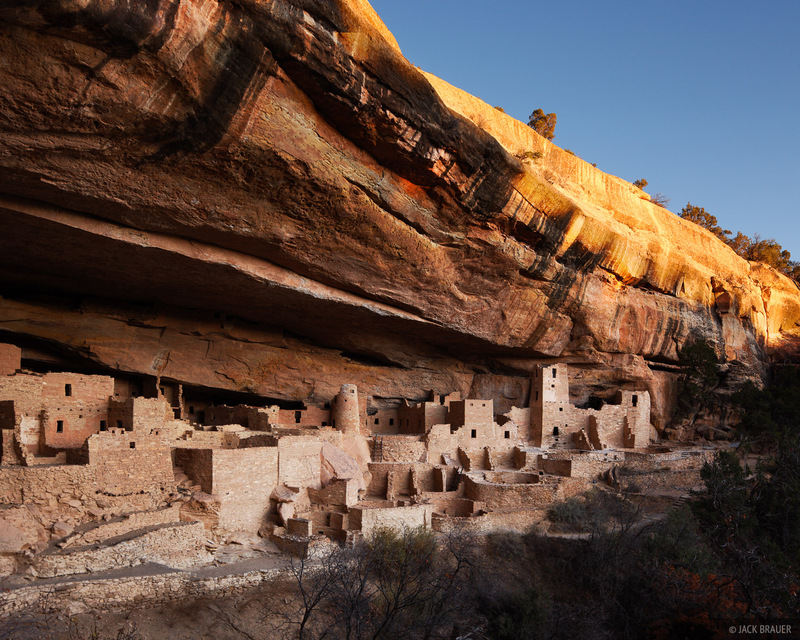 The Cliff Palace is the largest cliff dwelling in Mesa Verde, with more than 150 rooms. The cliff dwellings were built around the year 1200 A.D. by the Ancestral Puebloans, who farmed on the mesa above the dwellings. Photo © copyright by Jack Brauer.